Rene Repasi is the Scientific Coordinator of the European Research Centre for Economic and Financial Governance (EURO-CEFG), as of 2014, a joint research initiative of Leiden University, Delft University of Technology and Erasmus University, and Academic Researcher at the European Center of the Erasmus University School of Law, in Rotterdam, The Netherlands. René Repasi studied law at the Universities of Heidelberg and Montpellier. During his legal clerkship, he used to work for the European Commission and at the European Court of Justice. He has served as Assistant Professor at the Ruprecht Karls University of Heidelberg since 2007 and senior researcher at the Institute for German and European Corporate and Economic Law at the chair of Professor Peter-Christian Müller-Graff. Besides he was lecturer for European Law at the University of Applied Sciences of Fulda (Germany). In 2012 he was appointed as legal expert for the European Parliament on the banking union and on the legal implications of the report 'Towards a Genuine Economic and Monetary Union' as well as legal advisor to the Committee on Constitutional Affairs of the European Parliament on the future economic governance. Furthermore he supported the Spinelli Group in drafting the chapter on economic governance in its “Fundamental Law of the European Union” proposal. In 2013 he joined the High-Level Group on Institutional Reforms of the Centre for European Policy Studies (CEPS). René Repasi is also involved in the prestigious European Law Moot Court Competition as case drafter and as regular judge in the Moot Court’s regional finals since 2011. His main field of interest is European law and Human Rights. 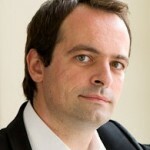 He published in several English, French and German law journals on EU legal issues. Repasi is furthermore actively involved in German and European politics. He was a candidate for the most recent European Parliament elections in 2009 for the German SPD and is member of the Commission on European Affairs of the German Social Democrats. He is appointed to several German think tanks on European politics. René Repasi is a known lecturer who teaches on behalf of NGOs, political foundations and public institutions. He gained his first lecturing experiences as a student for the German Institute for Civic Education. Nowadays his latest series of lectures was on the origin of the Euro crisis and on possible ways out of the crisis. As the son of a Hungarian father and a German mother, he considers himself first and foremost a European. He is fond of French music (Jacques Brel) and enjoys cooking and a glass of a good red wine.